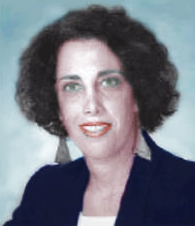 A member of the Florida Bar, Attorney Carol Waxman has been helping people in Brevard County for 29 years, since 1985. Her practice emphasizes Probate and Estate cases and the creation of Wills and Living Trusts, also known as Revocable Trusts, Divorce and Personal Injury cases. Meticulous attention is given to each case and all client questions are answered in a timely manner. We know the importance of good communication and do all we can to make your experience with our office a positive one. 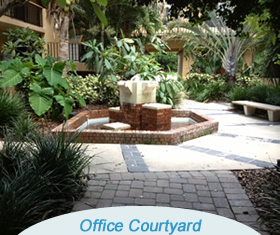 Carol’s office is located in the heart of beautiful, historic Cocoa Village with a large, private parking lot and a beautiful, serene private courtyard. "After my father passed away, Carol assisted my elderly mother and me with getting all our needed documents in a row. She was so kind and patient with us and explained everything thoroughly. We feel so much more confident after spending time with Carol. She will evaluate your legal needs and take the time to explain them to you. She is not only knowledgeable, but very compassionate and down to earth, which makes her stand out amongst her peers. I would recommend calling her today!" "Ms. Waxman has been very helpful to my family and myself on several occasions, assisting my mother with her will and trust, writing a will and trust for my husband, daughter and myself. In all cases, Ms. Waxman has been competent, thoughtful, an excellent communicator giving good practical advice along with being compassionate and sensitive to our needs. I would seek Ms. Waxman's legal advice and help again in the future if needed." "I’ve consulted Carol on numerous occasions regarding legal matters and each time she has given me the needed information, path forward, or peace of mind that I needed. When you need counsel or representation that is effective, efficient and tactfully tenacious, Carol Waxman is the clear choice. Her legal acumen, combined with her compassionate personality, makes Carol someone that you want to have in your corner. And if the matter is out of her realm of expertise, then she will gladly refer you to someone that will be a good fit for the situation. She’s the total package!" "I've known Ms. Waxman for many years and she has helped me with several civil matters. She is very helpful and VERY knowledgeable! I couldn't have had a better experience!" "Ms. Waxman recently helped me prepare my Trust Agreement and other legal documents that my family will need after I have passed away. It was a pleasure to work with someone who could guide me through this process and explain my options in a manner that helped me to make all the right decisions. " 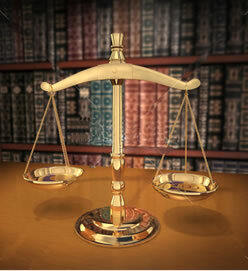 Call or e-mail us today to talk with Attorney Waxman. Serving all of Brevard County, including Merritt Island, Cocoa, Cocoa Beach, Cape Canaveral, Viera, Melbourne and Titusville.